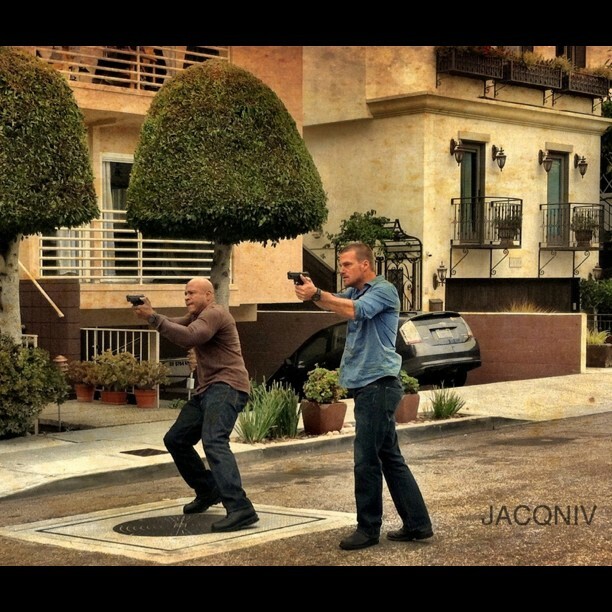 NCIS Los Angeles: Previously… About Jack !! Well, we were warned… Shane [Brennan] warned us… Dave [Kalstein] warned us… They told us that he was out there. They told us we would be meeting him sometime in the future. They have been dropping hints since season one, but honestly, were any of us really ready for his arrival? 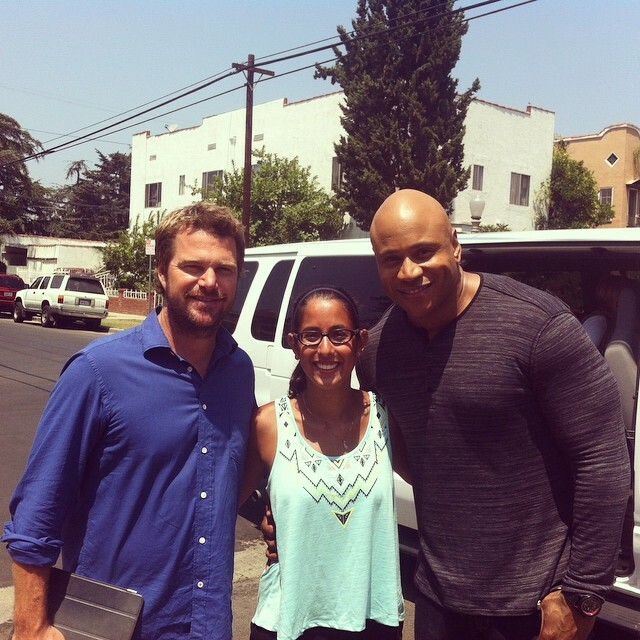 I know I wasn’t, and I consider myself a hardened and cynical NCIS: Los Angeles fan. But I sat there on the couch on Tuesday night, watching Kensi [Daniela Ruah] target the ‘White Ghost’, and pondered, much like so many of you, why didn’t Kensi take the kill shot? What made her hesitate? What spooked her? When he dropped that bomb on me I squeed, well of course I did, we were finally getting to meet the illustrious, run away groom! Okay, he never actually got to the wedding part, he left when he was only a fiancee, but still, he left. And that’s been the recurring, theme for most of the Christmas episodes, starting in Season 1 Episode 10 – Brimstone. Why Christmas, you ask? Don’t worry, I’ll get to that. Right now, let me take you on the rocky journey of introducing, Jack. At this point, from all of my research and my partner-in-crime’s research, there was no mention of the dead fiancee. Not until Season 2’s Christmas episode, Disorder, or as B and I like to call it, “The One With the Guy from ‘The Fresh Beat Band’”. 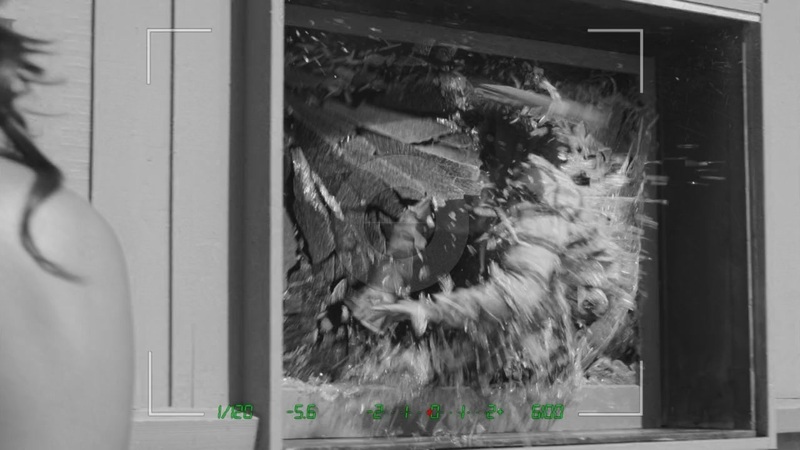 Anyway, the team is dealing with a recently discharged Navy Intelligence Officer, Lieutenant Lance Talbot, who has PTSD (Post Traumatic Stress Disorder/Disease). 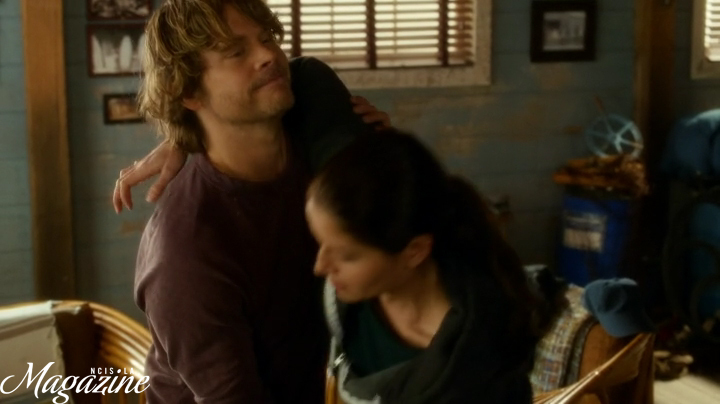 When this is first brought up in Ops, Kensi remains silent, and looking very uncomfortable. 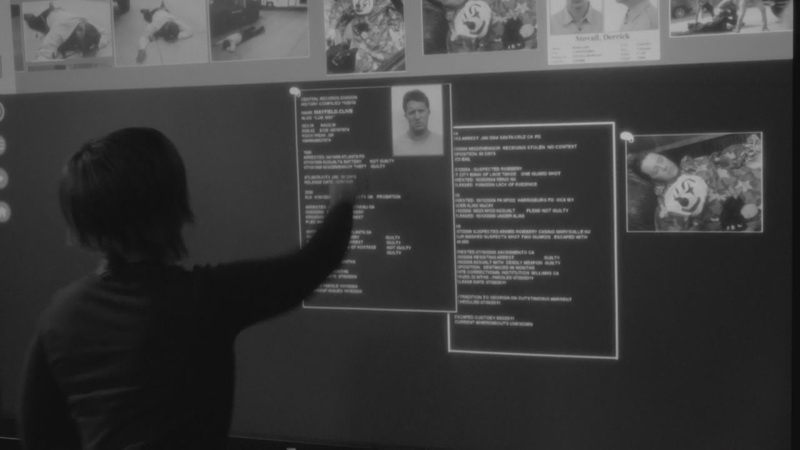 We only see her for a brief moment as the lens scans the room while Callen, Sam, Deeks, Eric, and Nell are discussing the shooting from the night before. 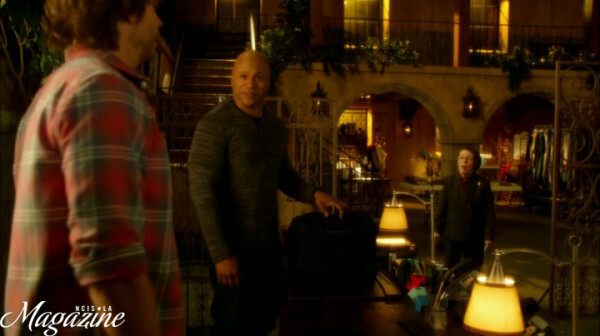 Once the team get’s Talbot into the boat shed, we see Kensi even more uncomfortable with the case, and then blurting out a number of medications used to treat psychological disorders. When Talbot’s doctor [Jonathan Frakes], questions the team about having an agent who knows about these medications, Callen reveals that they hadn’t realized Kensi knew these things either. 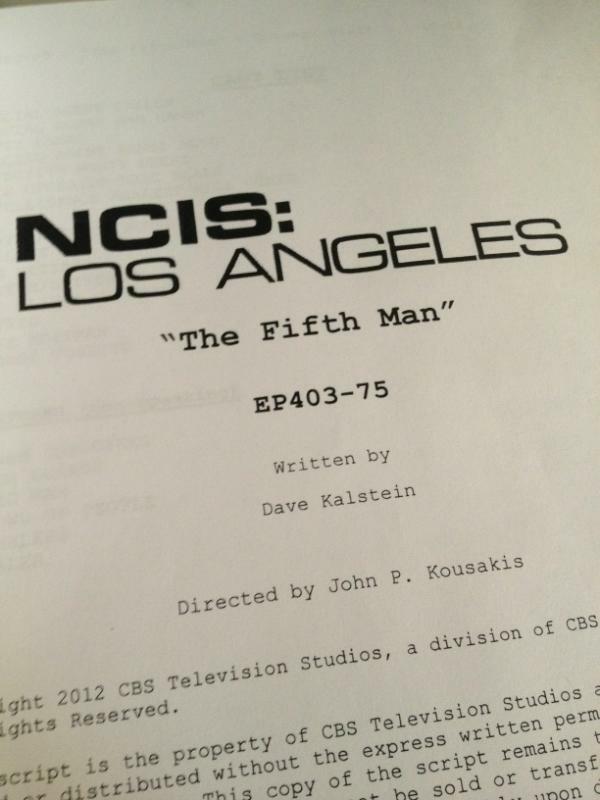 As Kensi, gently tries to persuade Talbot to head back to the scene of the shooting, so much more is revealed about the illustrious ex-fiancee, including his name. She asks Talbot about Afghanistan, trying to gain his trust, and you can see that her reaction, to what he is saying, is much more emotional than it should be, in regards to this case and this man. What is going on? 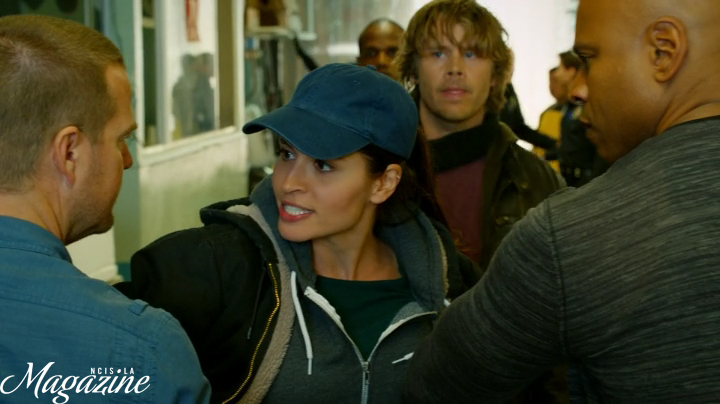 Why is Kensi all jittery and teary eyed. And then Pandora’s box is opened. 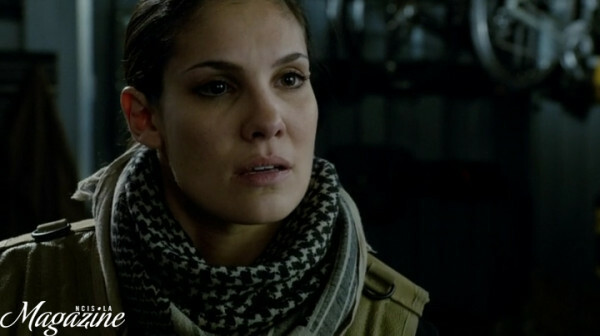 KENSI: Six years ago, I was engaged to a Marine. And his name was Jack. He was stationed in Fallujah. His unit was tasked with enforcing curfew. Shootouts and ambushes every night. He came back home…but I knew he wasn’t the same. TALBOT : Post-traumatic stress disorder. 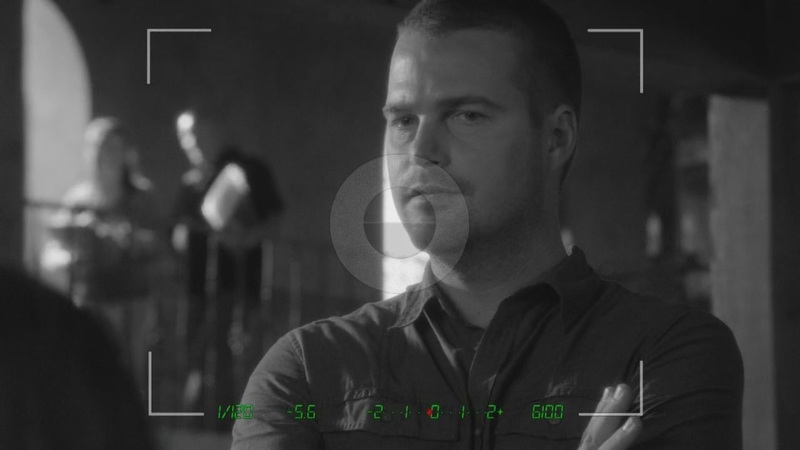 CALLEN: This is news to me. 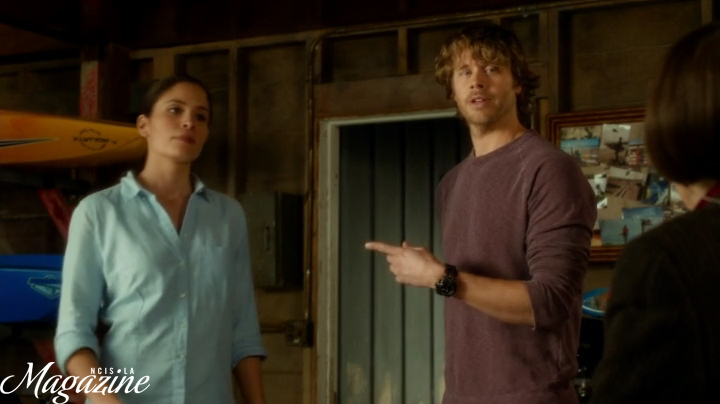 KENSI: He said life over there was like falling through the sky. Constant rush of adrenaline. Everything felt vivid and real. And coming home to me… coming home to me felt like hitting the ground. And I did…I did everything I could. Um, I… (sniffles)… I worked with his psychiatrist. I helped with his meds. And I listened, I always listened. Always. It was Christmas morning. I woke up… and he was gone. TALBOT: Where did he go? 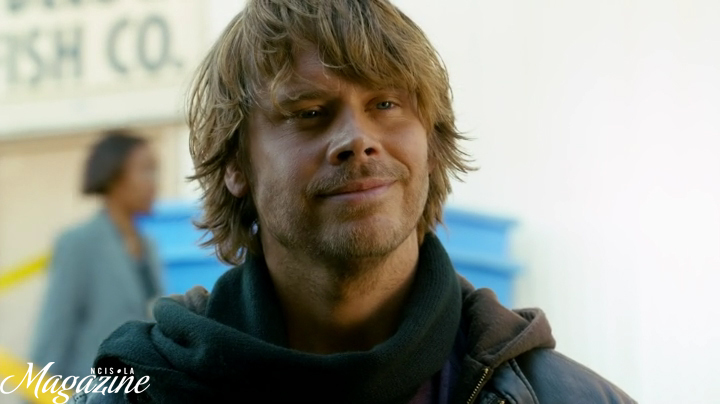 DEEKS: She’s-She’s playing him. She’s trying to get him to open up, right? [He looks at his partners, hopeful. Sam stares at G., they don’t answer]. 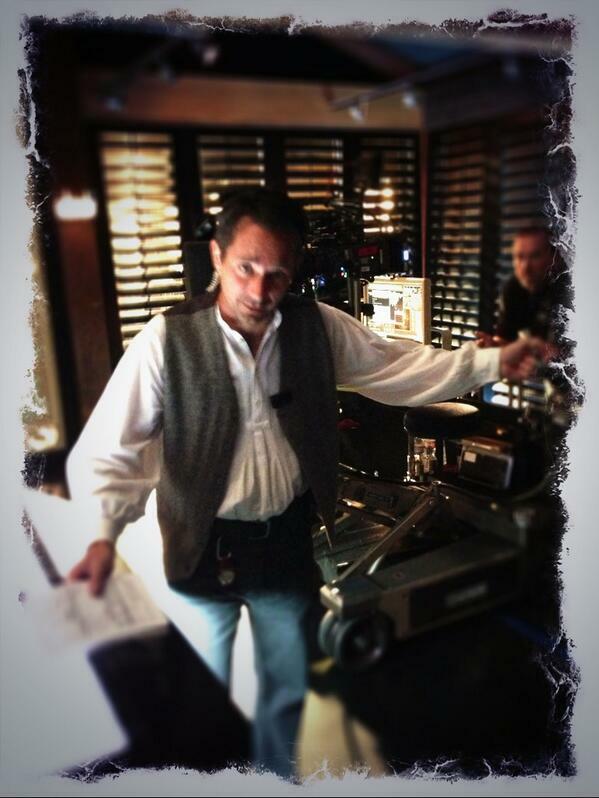 And there you go… the big reveal… he left her… ON CHRISTMAS! Talk about foreshadowing! 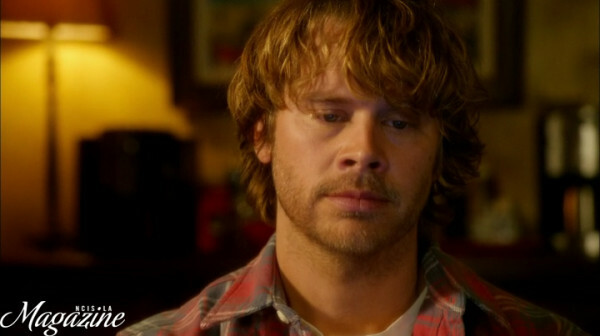 Kensi’s ex-fiancee, the man she loved and tried to help him through some very major issues our troops are facing today, left her, telling her she just wasn’t enough, on Christmas. Well, if that wasn’t enough to bring on the, self-depreciating downward spiral, it was certainly enough to start the serial dating we know Kensi to be famous for. Talk about abandonment issues. 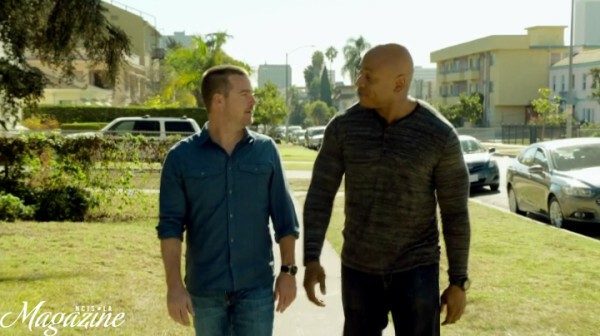 Then there is nothing, while Shane [Brennan} and the writers build up the tension between Kensi and Deeks, the nuclear weapons plot that involves Sam’s wife, and more of Callen’s backstory. Nothing… until now. If you recall, in a huge plot twist, Kensi is sent to Afghanistan, leaving her newly blossoming romance with Deeks, cut short. 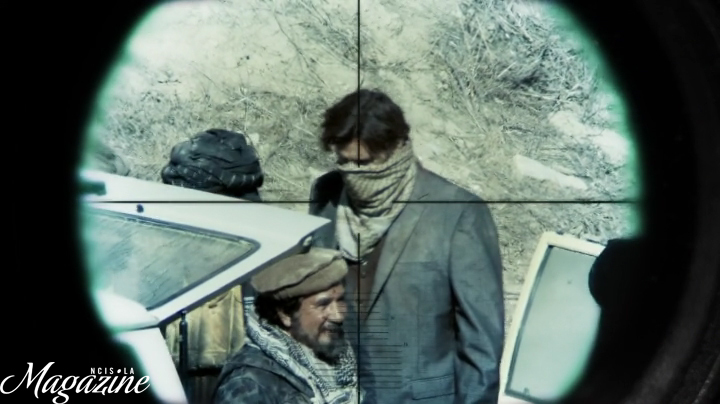 We find out she is, overtly, sent in as a sniper to kill the terrorist “The White Ghost”. And then they, (Uncle Shane and the writers), go all Siegfried and Roy on us, trying to misdirect us with Agent Sabatino, and his sneaky goings on. They tell us that, covertly, she has another mission… from Hetty (of course). Find the mole that has infiltrated the unit. By this time, not one of us is thinking about the White Ghost, because we are all, pretty much, convinced that Sabatino is the White Ghost. And then BAM! 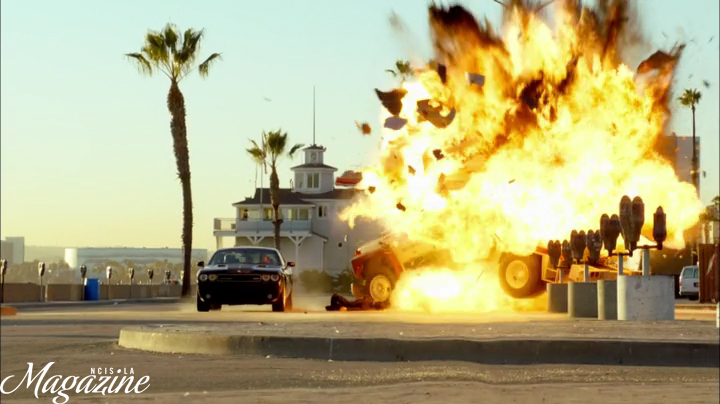 or as writer Joey Wilson would say… BOOM! 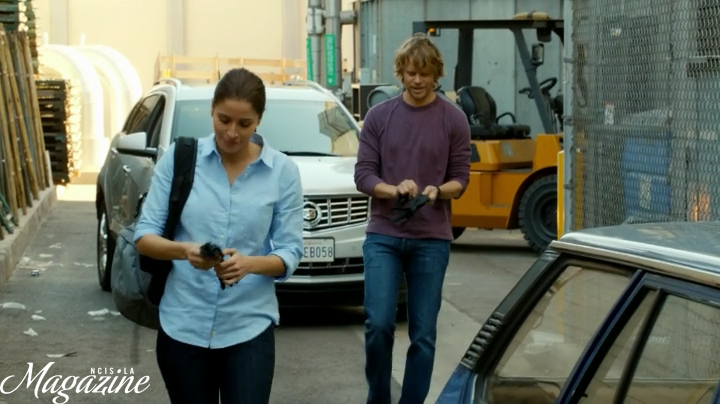 The Ghost is spotted and Kensi is sent in. 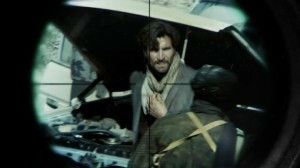 She has him in her sites, she’s ready to take the kill shot, and then the Ghost turns around, removing his scarf and… OH MY! Well, if he doesn’t make a girls heart go pitty patty, then Kensi has no taste in men… and we know that’s not true. No matter how many she’s dated, they’ve all been hot. Somehow, we just know that. She’s not going to waste her time on a guy who doesn’t tip the scales at at least an 8, because we all know it’s only going to be one date anyway. After all, she’s the best first date girl in LA! But back to the original topic. Seeing that handsome, and apparently familiar face, Kensi freezes. She get’s off a shot, but it’s wide, and alerts the men to her presence. 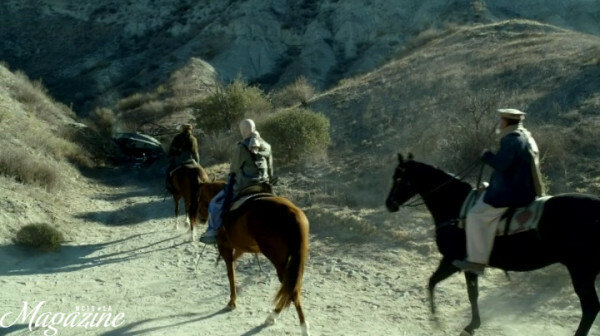 She runs and the episode ends with us knowing nothing more about Kensi’s connection to the man she was sent in to kill. 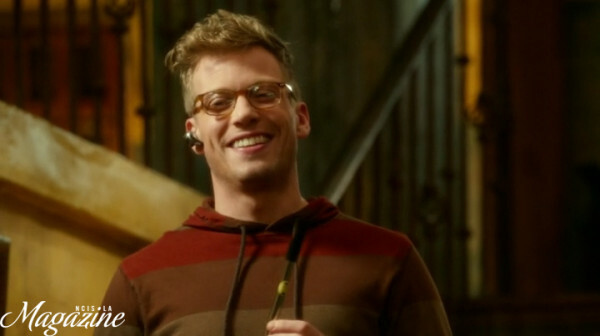 The writers were mum on the topic and none of the regular cast had made any comments about the guest star on this episode. 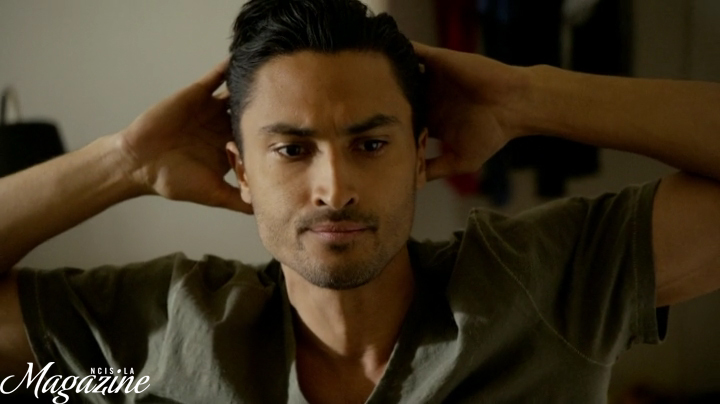 Amelia ‏@Mrs_Amelia: Calling it now: Jack is played by Giovanni from ‘Rizzoli & Isles’! AKA @MatthewDelNegro. No worries, I’ll wait for ur confirmation. Not sure if this was a total spoiler, or if he had been given the go ahead to reveal who his character actually was, but the storm this tweet and reveal created, was major. Densi lovers are all abuzz about the fragile relationship that was left hanging when Kensi was whisked away to her secret mission, and what this means for the major ‘ship on the show. 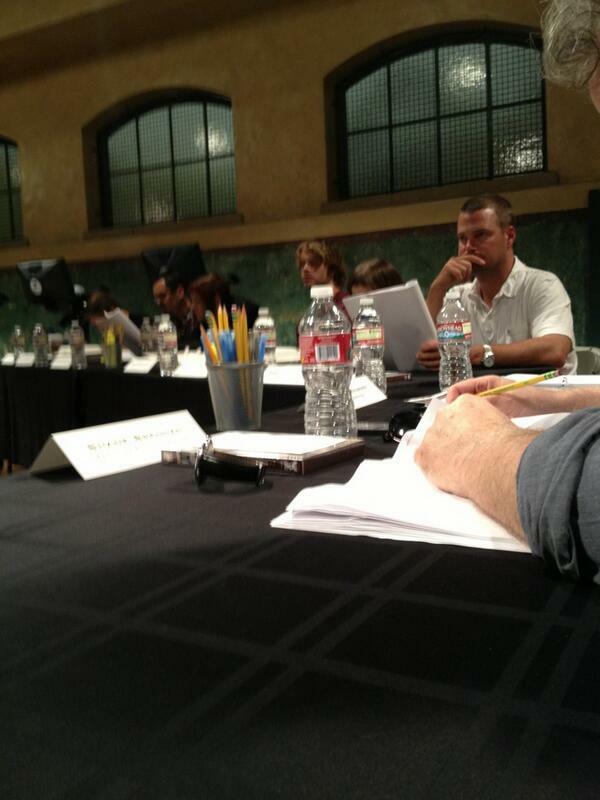 Will there be a love triangle? 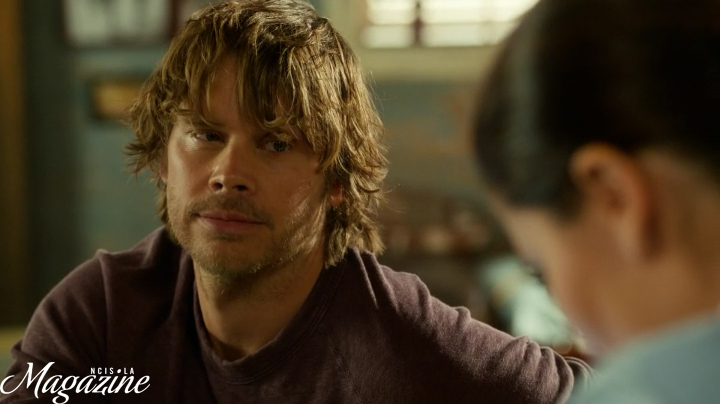 Will Kensi leave Deeks to go back to Jack? Will she eventually complete her mission, and kill her ex-fiance? So many questions and without a new episode this week, no answers as of yet. 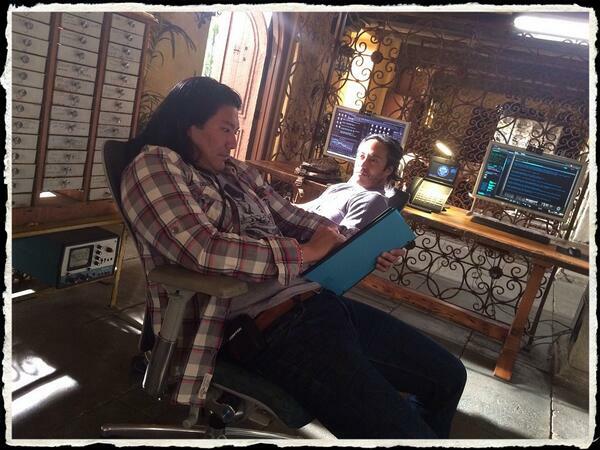 Thanks to Merrie for this awesome recap about Jack !! 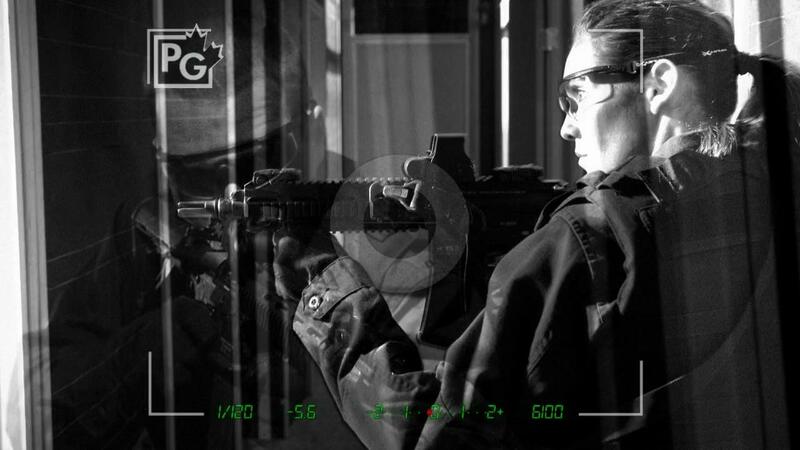 The gloves Kensi’s wearing when she’s supposed to shoot “White Ghost” were Oakley SI Assault Gloves. 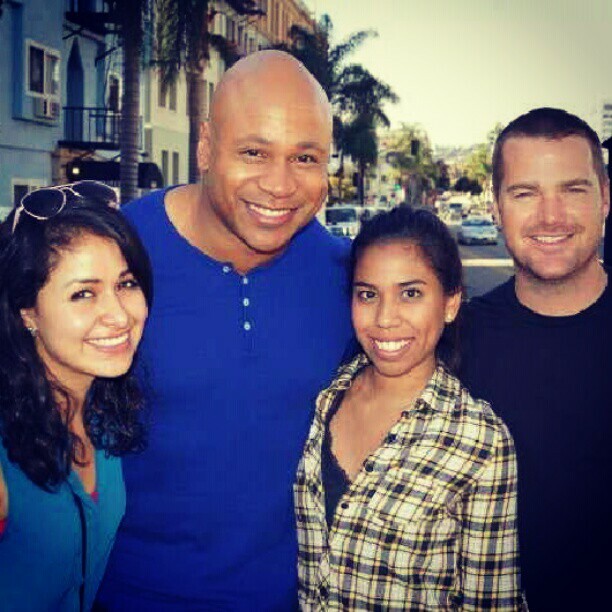 NCIS: LOS ANGELES was #1 in viewers (14.29m), adults 25-54 (3.3/08) and second in adults 18-49 (2.1/06). 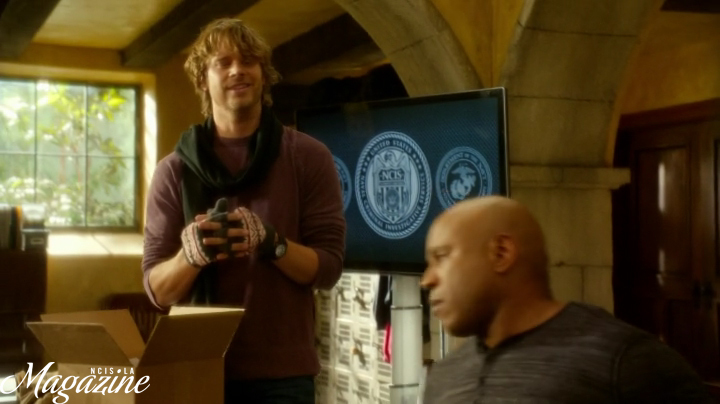 Compared to last week, NCIS: LOS ANGELES was up +3% in adults 25-54 (from 3.2/08) and added +1.13m viewers (from 13.16m, +9%). 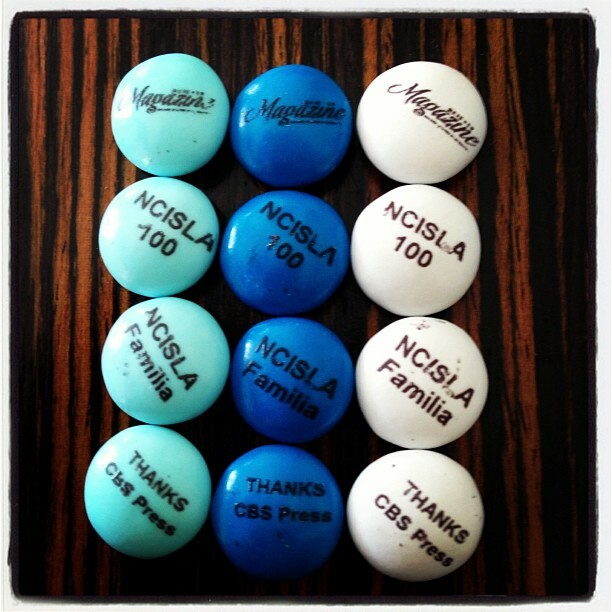 Have you seen our picture recap of the episode ?? 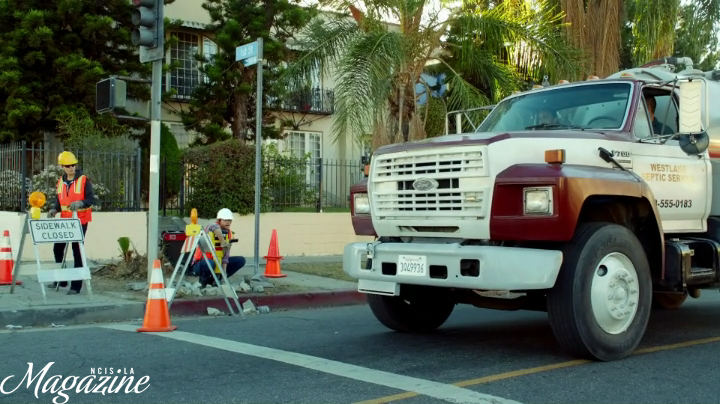 Merely a minute in and BOOM… I like this ep already !! MUA-HA gotta love Sam’s humor !! Looky how pride Eric is about his new pipe playing skills… Sweet !! Uuh… that girl knows a bodycheck !! Did she just throw herself in his arms ?? Helicopter crash and missing bodies ? Get out of there, Kens, NOW !! “THIS is about THAT.” Great Bromance scene !! “You’re from Ecuador and you don’t speak Spanish?” Shady !! Finally… the White Ghost !! 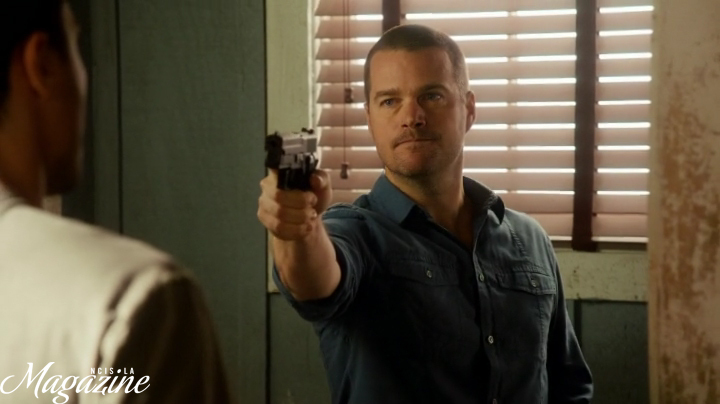 Wow, who is this guy that lets Kensi disobey Granger’s direct order ?? 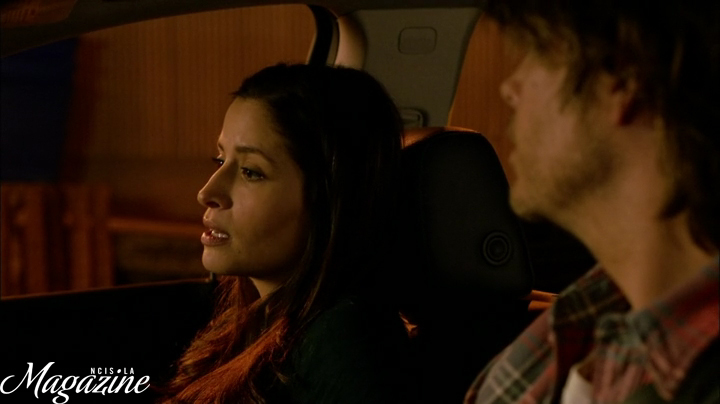 Is her story a forecast of what’s to come for Kensi & Deeks ?? 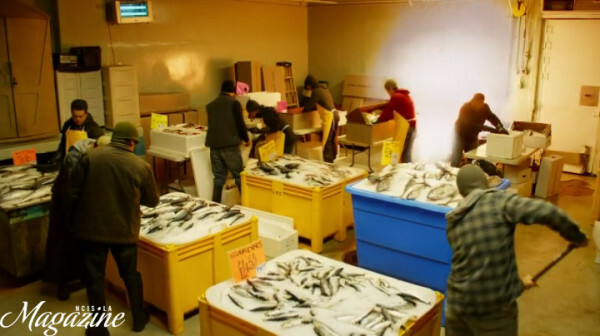 Who’s up for a Sushi party ?? What are your thoughts about the episode ?? Let us know in the comments. How did you like NCIS Los Angeles "Fish Out Of Water" ?? 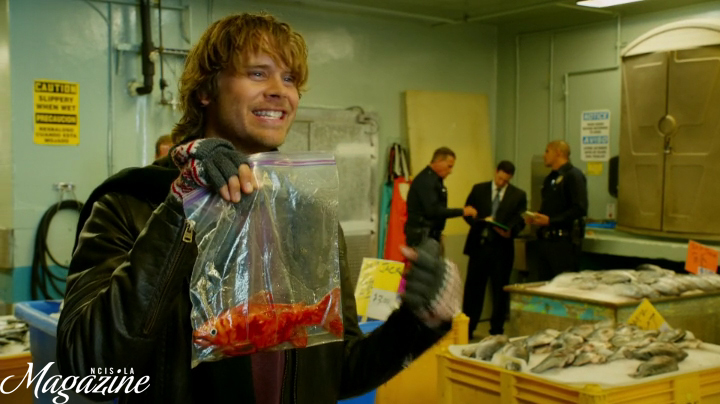 How did you like NCIS Los Angeles “Fish Out Of Water” ? ?